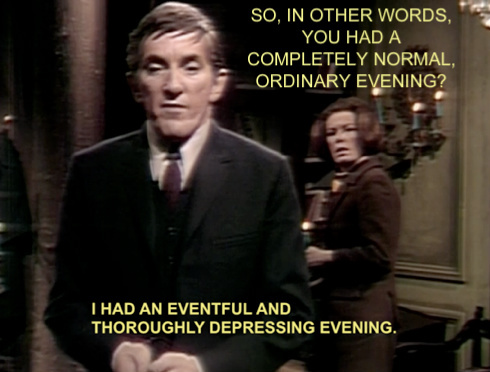 Dark Shadows Funnies. . Wallpaper and background images in the Dark Shadows club tagged: dark shadows barnabas collins julia hoffman jonathan frid grayson hall gothic supernatural. This Dark Shadows fan art contains کاروبار سوٹ, بزنس سوٹ, سوٹ, and کپڑے کا سوٹ. There might also be تین ٹکڑا, تین ٹکڑا سوٹ, سلیک سوٹ, ڈھیلے سوٹ, and جج ایڈووکیٹ.